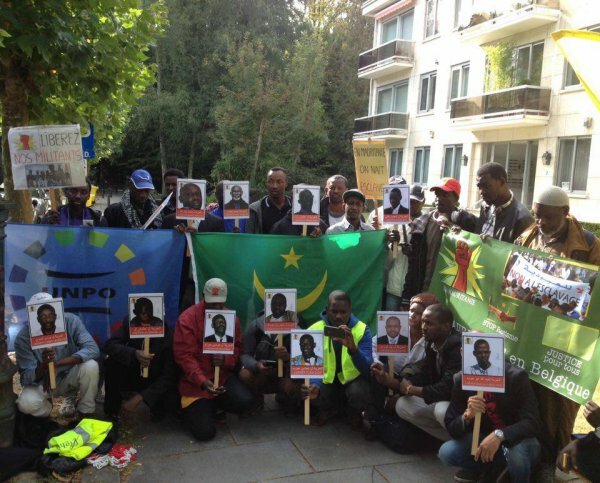 On 28 September 2016, members of the Haratin community and supporters of the fight against slavery met outside the Mauritanian Embassy in Brussels to protest the imprisonment of 13 anti-slavery activists of IRA-Mauritania and call for their release. The activists were condemned to between 3 and 15 years in prison, subjected to ill-treatment, and recently moved by the Mauritanian government to a remote location for their trial in appeal, where they are denied medical care, family visits, and visits by NGOs. Participant held signs denouncing racism and slavery in Mauritania, as well as placards with the faces and names of the imprisoned activists. 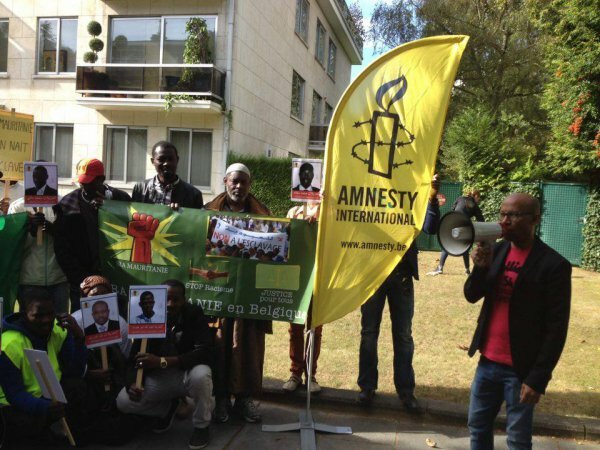 The protest was organised by IRA-Mauritania, supported by Amnesty International and the Unrepresented Nations and Peoples Organization (UNPO), and covered by journalists from Associated Press and the RTBF. For the latest developments on the anti-slavery movement in Mauritania, please click here.